As if you needed another reason to pack up your things and escape the blistering cold for a while, Alaska Airlines launched a new two-day sale on Tuesday, with stupidly cheap tickets. The popular carrier -- rated best in the country -- is offering flights for as low as $39. From now through Wednesday, Alaska is selling a long list of discounted one-way fares, the cheapest of which are short regional flights between West Coast hubs. But there are also a bunch of other deals on domestic and even international flights out of several cities across the country. Highlights include Las Vegas to Los Angeles (and vice versa) for $39, Denver to Seattle (and vice versa) for $79, Chicago to Los Angeles (and vice versa) for $99, Austin to Seattle (and vice versa) for $99, Boston to Los Angeles (and vice versa) for $99, and Philadelphia to San Francisco (and vice versa) for $99, among many other discounts. 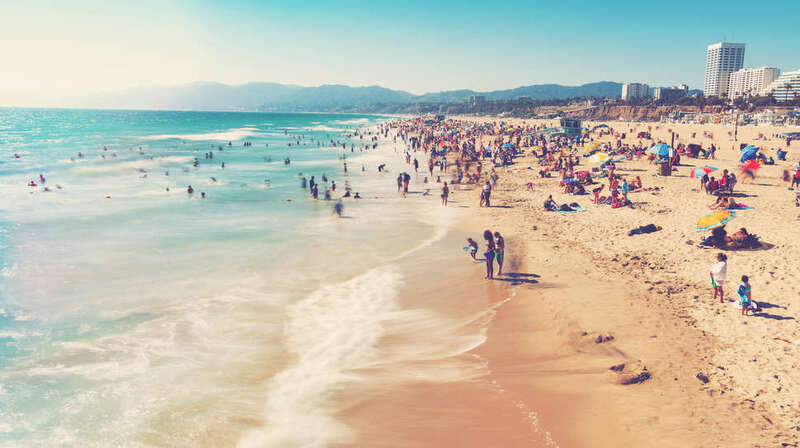 You can also get your hands on cheap flights out of the country, like San Diego to Los Cabos for $109, Seattle to Cancun for $199, and Los Angeles to Liberia, Costa Rica for $199. That is, if you’re quick enough. The low prices likely won’t last for long. Of course, there are some restrictions to keep in mind. All flights must be booked by January 23, 2019, and at least 21 days before departure, according to the airline. In many cases flights for the discounted price are restricted to certain days, so be sure to read the fine print before booking. Additionally, the deals appear to be valid from mid-February through mid-March. Be sure to pack light for whatever trip you’re taking, as baggage fees may apply to some checked bags. Bags weighing 50lbs cost $30 for the first, $40 for the second and $100 for the third and any addition bags. Whether you’re flying away from the cold or into it, you’d better hit up your travel best travel buddy and get booking before the best deals are gone.